XCOM 2, the character creation game with a small strategy component, is finally out (and it's amazing). 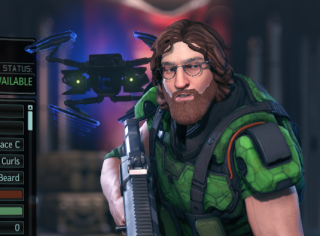 This time around, XCOM 2 has a significantly more robust character creation kit that allows you to export your soldiers to a file, which you can then share and throw at unwary internet passersby. The problem is, the game doesn’t exactly tell you how to go about it. Here’s how you can create, export, and propagate your creations with the rest of the world. From the main menu, click Character Pool, and then Create Character. Think about who will break your heart the most when an alien eats theirs, and do your magic. Dwell on what you’ve created. Is it right for man to play God? Yes? Good. Moving on. Next, we need to create a new character pool, which is simply a bin file the game exports the characters of your choosing to—the shareable bit. Head back to the main Character Pool screen and you’ll see a list of every character you’ve created so far. Check the boxes next to the characters you want to share and click Export Selection. First, we need to create a new Character Pool where our grumpy little Jedi will live. Click Create New Pool and a prompt will come up asking you to name it. Type in something recognizable and hit Confirm to get dumped back to the character pool list. Now, this is important and easy to miss: your characters have not been exported yet. Click on your newly created character pool to get a prompt that asks if you really want to copy your character into the selected pool. Hit Yes. Your custom soldiers are sent to the titular pool where they’ll chill in some temperate, sterile waters sipping on a fruity cocktai—er, wrong pool. They’ll actually be chilling in a bin file located by default in your documents folder. Copy and distribute the file using whatever method suits the sharing: flash drives, cloud storage, a few floppy disks, or dog courier. To import custom soldiers from other sources, copy the provided bin file to the Importable character pool folder—the same place your character pools export to—and boot up XCOM 2. Head to the Character Pool from the main menu again, but this time, click on Import Character. Find the name of the bin file you’d like to import from and give it a click. Finally, select the characters you’d like to import and, boom, they’re in your active character pool, ready to assist with the alien murder whenever necessary. Want some practice? We'll have some soldiers to show off soon. In the meantime, share yours in the comments.